WHATEVER HAPPENED TO ADRIENNE SCHORER? Operating under the assumption that you kept up with her activities up until the time she moved from Michigan to New Orleans, here's a brief summary of what she's been up to. In July of 1996, after the death of her father, Adrienne moved to New Orleans to tend bar at a couple of clubs on Bourbon Street. After a few months, she met a nice (inebriated) man from New Jersey who had just gotten out of grad school. After a few conversations, the nice man moved to New Orleans to live with Adrienne. In 1999, Adrienne got a little tired of listening to the Jimmy Buffett music that constantly played at the club she'd been working in 10 hours a day so, with a brief stop at Pat O'Briens (nasty nasty place) she moved on to tending bar at the local casino (Harrah's). 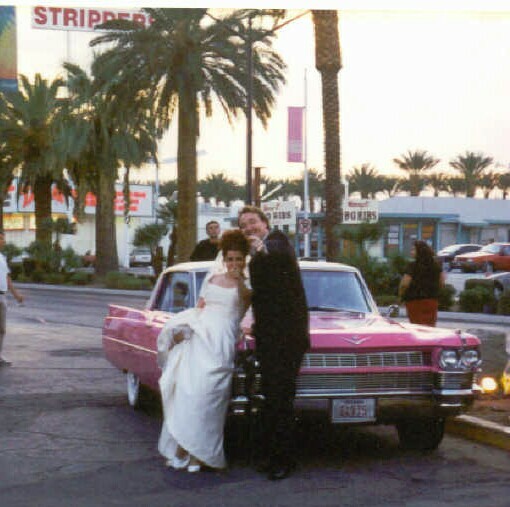 While there, she and the nice man ran off to Las Vegas and got married. After a honeymoon of poker playing (she did quite well, thank you! ), Adrienne and her nice spouse came back to New Orleans. Having tired of bartending, in 2001, Adrienne quit her job to sell Garage Sale finds on Ebay. 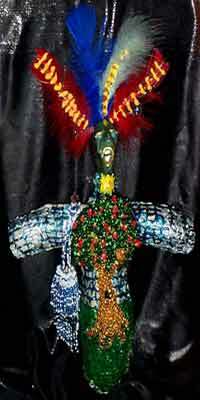 On a whim and because of a long time fascination with New Orleans Voodoo, Adrienne started making Voodoo dolls. She found that Voodoo dolls do quite well on Ebay and dropped the Garage sales. To this day, Adrienne is living in New Orleans with her husband and their three cats, making and selling Voodoo dolls. Her Voodoo dolls are collected world wide.